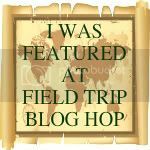 The weather is starting to warm up so it is the perfect time to go outdoors and have a field trip!!! As always we have several planned this month. Can't wait to read where others are going. If you would like to be a guest poster on this site please contact me. 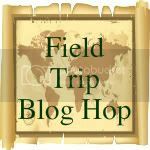 Looking for any posts that give ideas on taking, recording and enjoying field trips.